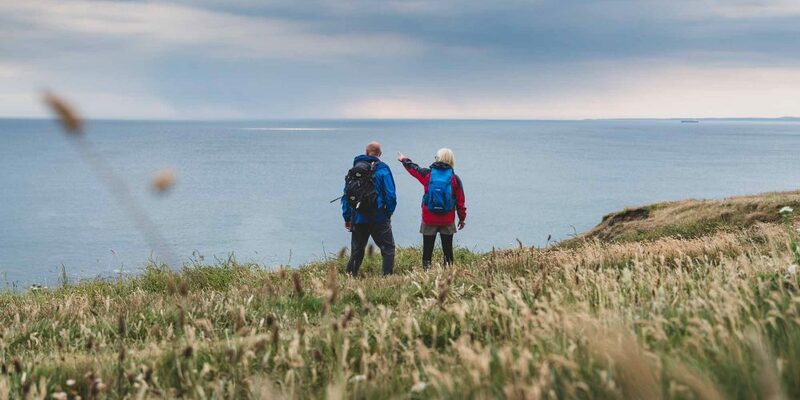 With its 250-million-year-old red cliffs, iconic rock formations and nature-rich freshwater lagoon, the Jurassic Coast boasts some of the South West Coast Path’s most diverse walking. 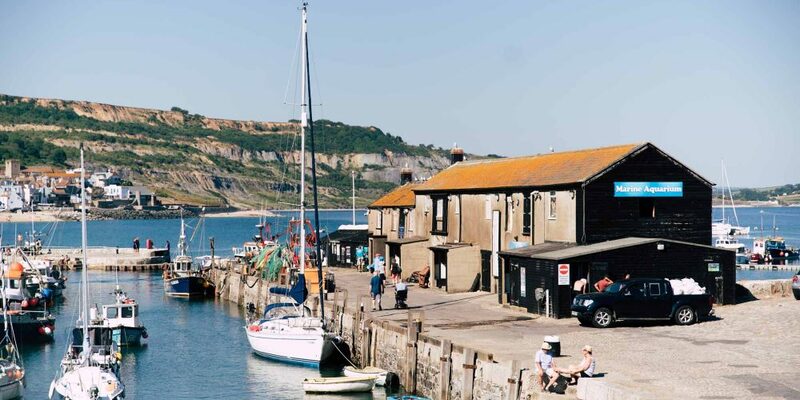 Climb to the highest point on England’s south coast at Golden Cap, hunt for fossils in the quaint village of Charmouth and gaze out over Purbeck’s captivating white chalk stacks. Discover the true beauty of East Devon and Dorset on this epic walk through time. Take on 95 miles of the South West Coast Path with an unforgettable nine-day trip to the world-famous Jurassic Coast. As England’s first UNESCO designated natural World Heritage Site, you’ll soon discover why this stretch of coast attracts visitors from far and wide. Starting in the historic seaside town of Exmouth – western gateway to the Jurassic Coast – walk through 185 million years of the Earth’s history. Explore the fascinating Triassic, Jurassic and Cretaceous periods, that make up the time when dinosaurs and giant reptiles walked the Earth. Get to know the many charming towns and villages on the way, that are ready to refuel weary walkers with award-winning food, unique local ales and a restful night’s sleep. Discover the magnificent Undercliffs National Nature Reserve – the closest thing to a tropical rainforest in England. Search for your very own fossils at world-famous sites like Lyme Regis and Charmouth, where you might find your very own prehistoric souvenir. 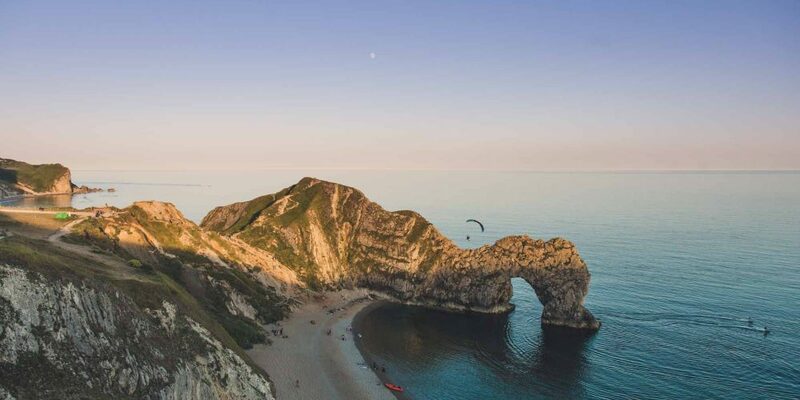 Breath in the fresh sea air as you climb to the highest point on the south coast at Golden Cap and walk along the golden cliffs of West Bay and gaze upon iconic rock formations like the arch of Durdle Door. 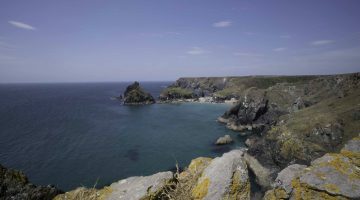 This undeveloped stretch of coast provides a mixture of easy, high open walking and some fairly strenuous climbs up and down steep slopes and steps to reach beautiful coves. 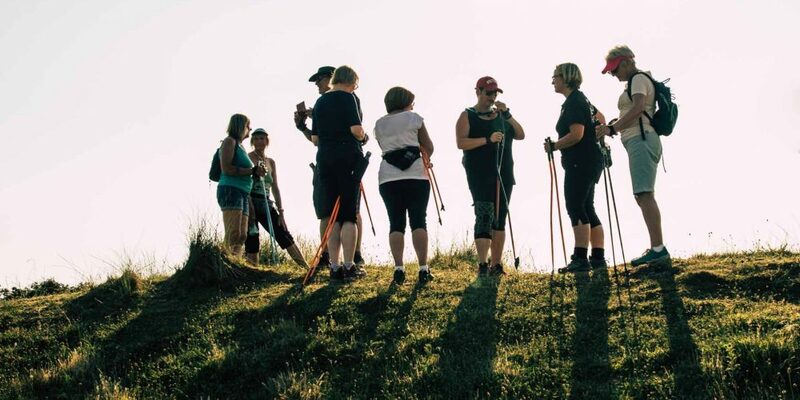 The daily distances vary considerably, and some involve several hundred metres of ascent and descent, so don’t underestimate the time/effort required. A walk of contrast awaits as you leave the town of Seaton behind and embark on a journey through rich vegetation, over wild, crumbling cliffs and through pretty seaside settlements. The Coast Path descends into the dense woodland of the Undercliffs National Nature Reserve. The Undercliff, which is formed entirely from active coastal landslides, is humid and sheltered, providing a perfect habitat for ferns, fungi, orchids, wild clematis and insects. 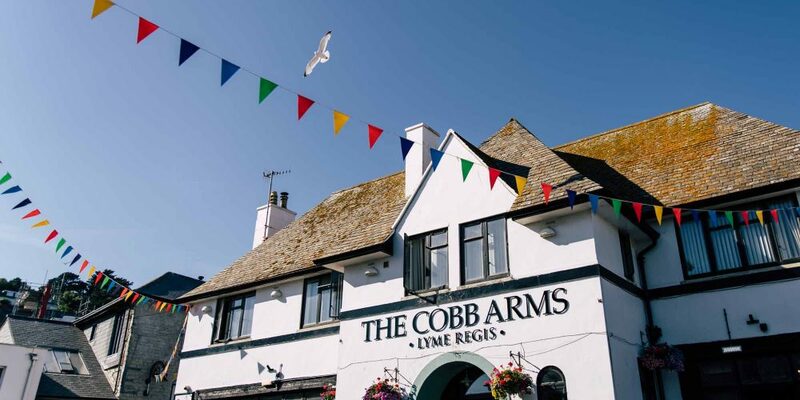 Later you’ll emerge into open fields, where you’ll find yourself at Lyme Regis with its historic harbour known as ‘The Cobb’, shops, refreshments and ammonite-shaped street lights. Continue inland slightly then drop back to the sea at Charmouth before making the climb up to the spectacular Golden Cap, finally arriving in Seatown. 22.9 km / 14.2 miles. 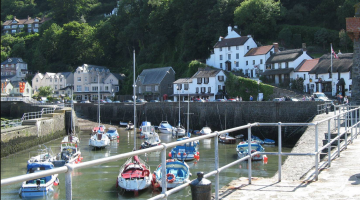 There are a range of comfortable pubs, inns, hotels and hostels to lay your head near the South West Coast Path for a well-earned rest, from large and luxurious hotels, to small and personable B&B’s, as well as self-catering options and campsites. There’s ample choice in the many towns en route with smaller village gems to discover along the way. Fly to Exeter or to Bristol then train to Exeter. From there you can get bus and rail services (the Avocet line) to Exmouth to start your trip. For timetable information, visit Traveline or phone 0114 22 11 282. You can also fly to Bournemouth airport and go by bus to Shell Bay ferry offices, Studland (change at Bournemouth Lansdowne). 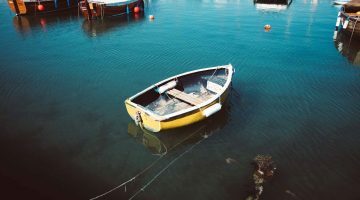 From Studland, either catch a bus into Bournemouth and then a train or plane home from there, or a bus into Swanage and catch a steam train to Norden followed by a bus to the main line train station at Wareham. If you want to shorten this walk the Jurassic Coaster and other bus services run parallel to sections of the coast calling at Exmouth, Sidmouth, Beer, Lyme Regis, Seaton, Charmouth, Bridport, Abbotsbury, Weymouth, Wool, Wareham and Poole. You can download the Jurassic Coaster travel app here to access more information about times and routes. The Jurassic Coast is constantly eroding. This erosion has created the beautiful coastline that we see today, but it’s important to remember that rock falls and landslides are part of this process, and can happen at any time. The path across the Lulworth Ranges is one of the highlights of the Jurassic Coast, but can only be used when the range is not in use. To avoid missing out on this it is recommended you plan your walk to get here when the ranges are open – most weekends and holidays. Visit https://www.southwestcoastpath.org.uk/walk-coast-path/trip-planning/military-training-areas for more details. As live ammunition is used, you must not stray off the paths which are clearly marked by yellow posts, and do not pick up any metal objects lying on the ground.